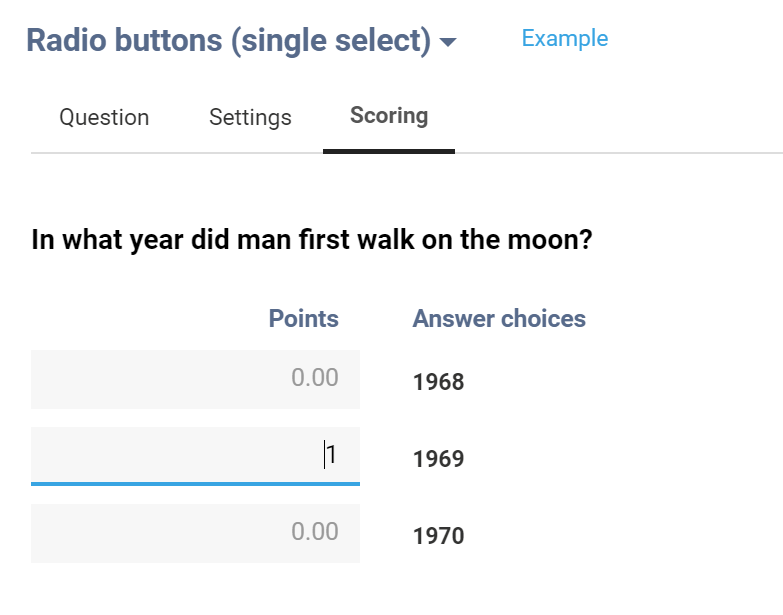 Turn any survey into a quiz by adding scoring! Or apply it in your HR surveys, use it as a classification in product or customer surveys, etc. When people answer a question, you can tell them whether they got the answer right, or keep their scores to yourself. 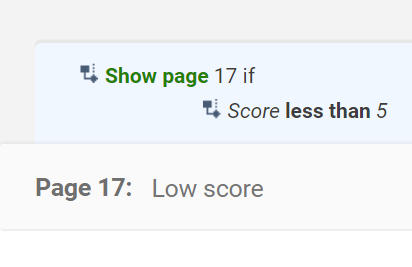 You can use the score in branching, page-display logic, prefilling, notifications, piping, reports and more. You can assign both positive or negative values. You can also use decimals up to 2 decimal places! Create or edit a question. Click on the Scoring tab. Enter the Point values for each answer option. 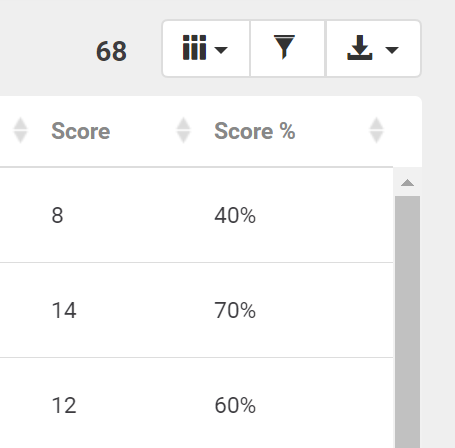 You can show the respondent’s score, the max score possible and their score percentage using variables in the survey itself and also in notifications. Variable names must be enclosed by three dollar signs ($$$) on each side. You can then edit or style the text as needed. You can use a respondent’s score in different kinds of logic in your survey. The score can be used in branching, page-display logic and in the conditions for notifications. If you would like to show different pages depending on a respondent’s score, you could use page-display logic. For instance, in a quiz with a maximum of 10 points, you can show a different message to respondents that got an 8 or more, one to respondents that got 5 to 7 and one to respondents with less than 5. You can do that by putting each message on a separate page and by using page-display logic to only show each page to respondents that have scores that fall in those ranges. The individual scores for each respondent can be seen on the respondents overview and also in the raw data download in Excel, or CSV. They also appear at the top of the individual respondent reports.